Restaurants are no longer happy with just serving you a spectacular meal; nowadays, they want you to take home a permanent reminder of your experience too. This is why eateries in the city are now creating quirky keepsakes and merchandise that you can literally buy off the walls and tables. No longer do you need to sneak those adorable salt and pepper shakers or a quirky coaster into your bag, while keeping a sharp lookout for the staff. 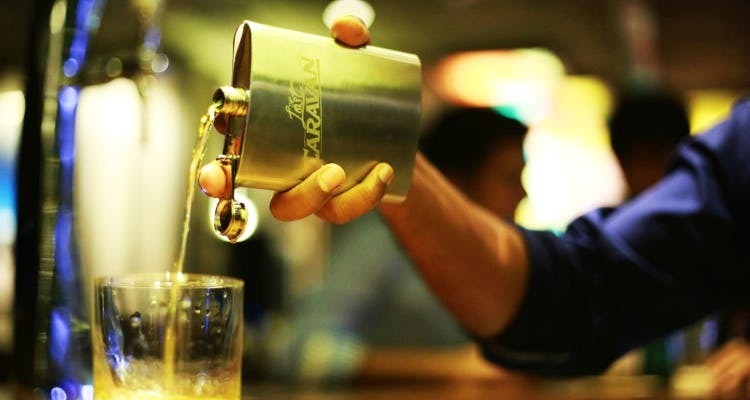 While pubs such as Monkey Bar and Bakasura are preparing to launch their own merchandise line soon, LBB finds others that have already caught on to the trend. As you wait for your hot, steaming cuppa to make an appearance, you can browse through shelves stacked with CCD’s ever-expanding merchandise offerings. Available at any of their gazillion outlets and online, the range includes mugs with funny motifs, mason jars, colourful sippers, French presses and even coffeemakers. Five years ago, when Chaipatty opened shop, it also simultaneously launched its merchandise line. In its laidback environs, you’ll see walls adorned with framed hand-sketches on sale, glass counters that display kettles painted by local artistes, kullads sourced from Kolkata, and even a smiling bauble-head of its affable owner. A pioneer in this space, the Rock Shop is filled with an enviable array of merchandise. Bestsellers include the classic Hard Rock T-shirts, branded glassware, key-chains, magnets, caps, and bags. If you pick from the Signature series, then you’ll be contributing to the many charities that Hard Rock supports. At the Mamashop, get your hands on brightly-hued pillowcases and mugs with bat-winged pandas and leaping tigers. The MamaArt is also a worthy buy. The Last Supper print with kimono-clad figures, and another called Baby Geishy, with her gorgeous eyes gazing from behind a hand-held fan are popular choices. Maal, Social’s quirkily-named goodies line, features favourites from its bar cabinet. The tall Long Island Iced Tea beakers that look like they’re straight out of a lab can now be yours. Social has also hashtagged a range of orange and black umbrellas, so get ready for a walk in the rain. Tall tumblers and coffee mugs are the highlights of Starbucks’ merchandise line. Whether they are speckled in shades of green or done up in colours of the sea, the tumblers surely make for eye-catching takeaways. For festivals, the coffee house comes up with specially-designed goodies that are worthy collectibles. Walk into this popular brewery and you’ll see display cabinets filled with Bangalore and beer-themed tees, coasters, fridge magnets, and bumper stickers. As part of its glassware collection, there are arty ceramic mugs that are worth your buck. Soon boxers, shot glasses, and key-chains are going into production too.